Apple's HomePod is edging its way into the U.S. smartspeaker market, but has plenty of ground to cover if it wants to catch up with industry leaders Amazon and Google. The device has an install base of 6 percent, or about 3 million, according to the latest estimates by Consumer Intelligence Research Partners, seen by AppleInsider. Amazon's Echo speakers control about 70 percent, while Google Home devices have 24 percent. The U.S. market is thought to have about 50 million installed speakers in total as of the June quarter. In a report, CIRP co-founder Josh Lowitz called Apple's performance "a small but meaningful share" claimed from its competitors. At the same time however he noted that Amazon has been in the industry for years, and that both Amazon and Google have low-cost devices believed to account for "at least half" of unit sales. As a result, "it's not clear how much further Apple can establish itself in the market without a more competitive model," Lowitz remarked. The analysts also failed to mention that the HomePod has yet to see a holiday sales period. Apple has been gunning for high-end audio with the first-generation HomePod, which costs $349. That makes it far more expensive than the Echo Dot and Home Mini, both of which are around $49. 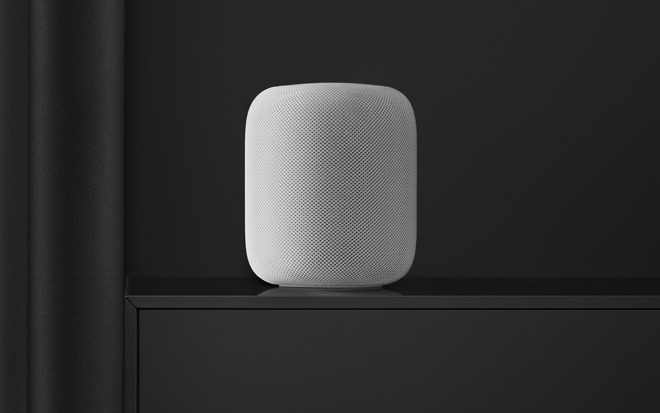 Those products are deliberately bare-bones, but the HomePod is also more expensive than the standard Echo and Home models, priced at $99.99 and $129 respectively. It's also costlier than devices like the touchscreen-equipped Echo Show and the Alexa-equipped Sonos One, the latter of which is $199 but often compared to the HomePod in sound quality. Sonos is even selling a two-unit bundle for $379, just $30 more than a single Apple speaker. Also probable, is that Apple is holding a large portion of the profit in the new market segment. Apple has been rumored as considering a cheaper HomePod model in light of a weak market position. Even a low-cost model could face an uphill battle though, since many Echo and Home owners have multiple speakers and are unlikely to switch over their household. The HomePod has also been criticized for the limitations of Siri, which is typically considered inferior to Amazon Alexa and Google Assistant. Indeed the only music service natively supported by Siri is Apple Music, whereas Alexa or Assistant users can choose one of several, albeit normally excluding Apple Music unless they're on AirPlay 2-compatible Sonos gear.